The new Epiphone SG-Special VE™ is a great way for new players to discover a rock classic at a price anyone can afford. Featuring Epiphone open-coil humbuckers with Ceramic Magnets and available in five beautiful Vintage Worn finishes including Cherry, Ebony, Heritage Cherry Sunburst, Vintage Sunburst, and Walnut. When the “SG” double cutaway electric guitar was first released, it was intended to take the place of the Les Paul,which was discontinued throughout most of the 60s. Lightweight yet powerful, the SG became a hard rock classic all its own and was embraced by a wide range of players including Eric Clapton, the Allman Brothers, Tony Iommi of Black Sabbath, and Pete Townshend of The Who. 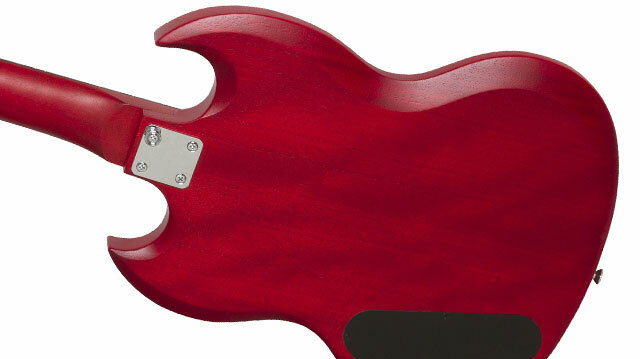 The new SG-Special VE™ has the same iconic design with a Poplar body with a Mahogany veneer and a black pickguard. The bolt-on Okoume neck has a 1960's SlimTaper™ D profile, a standard SG scale length of 24.75”, pearloid dot inlays, and 22 medium jumbo frets. 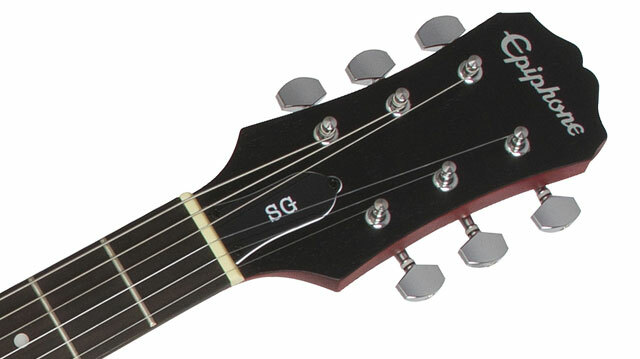 The “Clipped Ear" style headstock has a 60s era Epiphone logo in silver and a “2017" Edition logo on the back of headstock. The SG-Special VE™ is available in Cherry, Ebony, Heritage Cherry Sunburst, Vintage Sunburst, and Walnut Vintage Worn finishes. 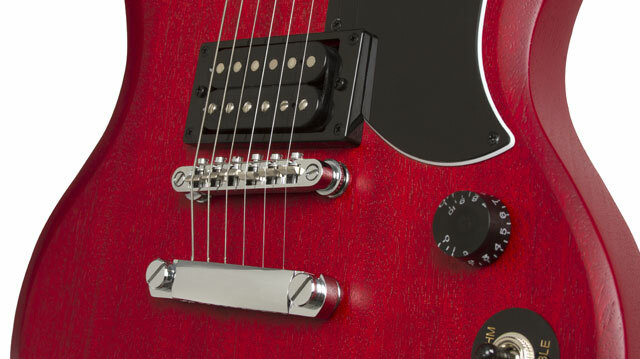 The SG-Special VE™ is powered by two Epiphone open-coil humbuckers with ceramic magnets. Owners of vintage SGs and Les Pauls often remove their pickup covers for a better bass response and magnetic pull. Ceramic pickups have a higher output than vintage Alnico magnet pickups and are designed to provide a tight low-end response with both a smooth mid-range and a slightly more pronounced top end tone. Ceramic magnets have been a favorite of metal and hard rock guitarists for decades. The SG-Special VE™ has a 650R™ in the rhythm position and a slightly “hotter” 700T in the lead position. 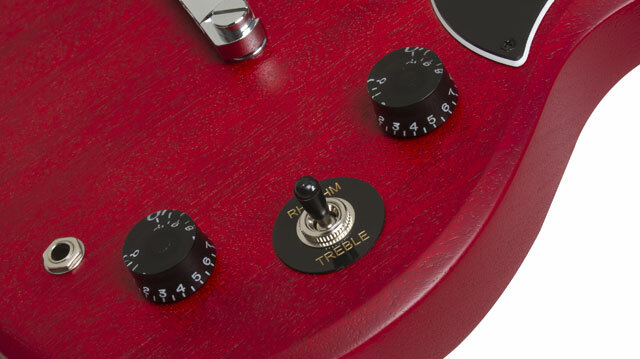 Controls include a Master Volume and Master Tone with traditional black “Speed” knobs and a 3-way pickup selector. The new SG-Special VE™ features Epiphone-designed rock solid hardware including the classic SG style LockTone Tune-o-matic bridge and Stopbar tailpiece, a non-rotating ¼” output jack, and premium die-cast 14:1 ratio machine heads for fast and accurate tuning. An optional hard case is also available. Like all Epiphones, the Epiphone SG-Special VE™ comes with a Limited Lifetime Guarantee and Gibson’s world famous 365/24/7 Customer Service. There’s never been a more affordable way to discover the legendary “SG” guitar. Visit your Authorized Epiphone Dealer or visit Epiphone.com to learn more about the Epiphone SG-Special VE™.